Stay-at-home mom Heather Hershey hadn't thought about playing the piano in years. After what happened in college, she could barely bring herself to learn the theme song to Millie Mallard's Pond of Fun to amuse her kids. When she ran into an old college acquaintance at the grocery store things began to change. You were the piano player kept reverberating through Heather's head. She couldn't shake the idea, and she decided to take a leap of faith. Acting on suggestions from her patient husband, a zany neighbor, and even her out of control kids, Heather dives head first into the quagmire of starting her own business. In the beginning, it didn't seem as hard to get prospective clients as she'd imagined. It soon became obvious that sealing the deal was the problem . 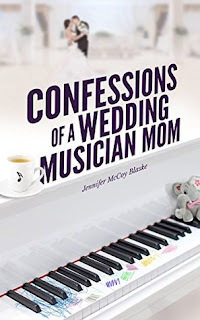 . .
Will Heather realize her dream of becoming a professional pianist, or will it just be misstep after misstep yet again? This is a quick and easy read which does right what it says on the box. The novel delves into the stay at home mum life of Heather and her desire to get back a little bit of herself while trying to bring in an income. Her natural talent for music and her training seems to lend itself to being a part time wedding musician and with her husband's support she starts up her own business- or tries to... children make anything with a need to focus infinitely more challenging of course. 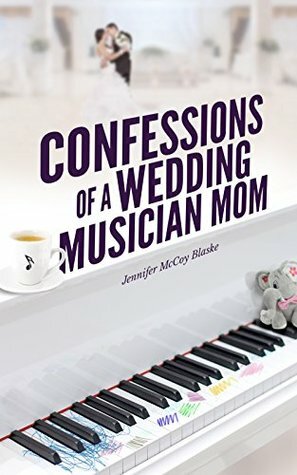 I found the author did a great job creating the loving but slightly chaotic life of a stay at home but part time working mother. The kids were natural and their interactions seemed to flow. I also enjoyed her attempts at finding business and they were also naturally occurring and came with some giggles. All in all the frustrations came through the pages. I'm not sure though if the novel in its entirety came across with all the pieces. Perhaps it was too short? I just finished it feeling like it wasn't quite resolved. I wished also that there had been more scenes with the husband to round out the family dynamic a bit more.